I like to offer a bit of a Devil's Advocate view sometimes, but I can't think of any way to defend Nintendo on this one. 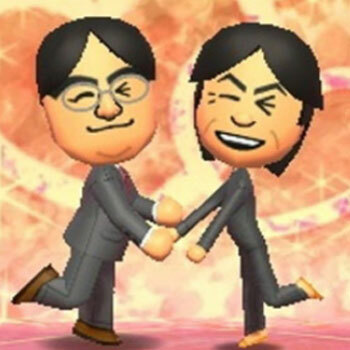 The absence of homosexual relationships in Tomodachi Life, a game that encourages you to populate it with real-life friends and family, is genuinely insulting and exclusionary. But do I think that those at Nintendo are homophobes because of it? No. Thoughtless, old-fashioned, lazy, perhaps, but to accuse them of irrational hatred would be a serious step, one I am unwilling to take without first looking for a more logical reason. Bashing on E3 is fashionable these days, which I fully support, but throughout the most recent show I felt like the gaming press and social media were playing a game of politically-correcter-than-thou, competing to see who could get a controversy going first. FarCry 4 being racist didn't catch on. Neither did complaints about Lara Croft being in therapy. But then someone noticed that there weren't any female characters in the co-op mode of Assassin's Creed Unity, and someone at Ubisoft made some unguarded quotes for people to jump all over, and the storm broke. For the record, I think this outrage was founded on misunderstanding. Unity seems to be doing the same thing Watch_Dogs does, that is, integrate the multiplayer seamlessly into the single-player story. So when you join the multiplayer, you're still playing as the story's protagonist, as are all the other human players. They take on slightly different appearances when appearing in someone else's game just so that you don't see four copies of the same dude running around. It's no more sexist than there being no option to play a female Aiden Pearce, or a male Lara Croft. They could have had other players appear as female, true, but it's not as easy as just rendering one more character model. A game like Mass Effect can get away with using the same animations for both sexes, because the character doesn't do much more than run, shoot, and crouch behind walls. It's a far bigger job in Assassin's Creed, which features much more complex interactions with the environment. All of the climbing would have to be re-done to suit narrower shoulders and broader hips, just for starters. But this is missing the point. It doesn't matter how much or how little a workload it could've been, it's still only a cosmetic change that a lot of players won't even see (I know I don't plan to spend much time in the multiplayer), so if the budget runs tight and deadline looms, it's going to get struck off the priority list pretty quick. So no, you can't play as a woman, but neither can you play as a black guy or Peter Lorre or indeed anyone other than this one specific beardy French ponce. Which admittedly does nothing to help the more general issue that white male protagonists are over-represented. A valid problem, just not one exclusive to Ubisoft. Now, I could argue that you can't just demand that a creator change their story to suit you, and that if it doesn't appeal to you then you're free to not buy it. But I can't keep a straight face and pretend that triple-A video games are largely auteur-driven. Or that a game's popularity is determined solely by raw appeal, and not the influence of the publisher's marketing department.